Park Model Homes 125 – Braeden was fast all day long and showed it when he went out and qualified 5th with a 17.887. The 2nd through 5th place cars all qualified with a 17.8** so the field was very very tight. With the invert, Brae started the race on the outside pole and was in the lead by turn 2. 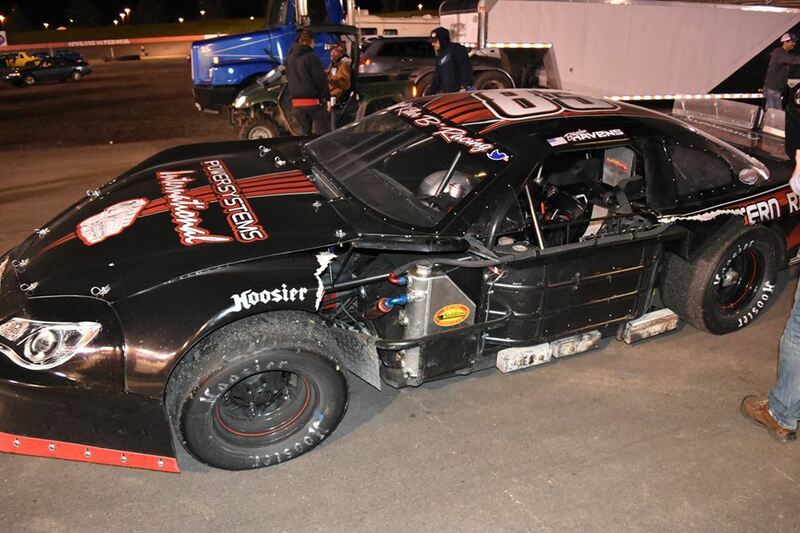 Brae ran 1-2-3 all night long until a late race incident with another driver tore his left front fender in half leaving a portion of it on the track. At the restart, the other half was slapping the safety net. The series then through another caution for the debris. During this caution, Brae tried to pull the remainder of the fender off of the car by scraping it along the wall a few times but was unsuccessful. As he would have been forced to pit if he couldn’t have removed the piece, resulting in 15th place restart instead of his 2nd spot he was currently in and with the very few laps left, the decision was made to try to dislodge the fender/door by using the bumper of the only car in front of him, the car that he had the initial incident was with. This worked perfectly but the fender unfortunately lodged in the wheel well of the other car. The series threw a red flag, the part was removed and the race was restarted. On the restart Brae fell back to 3rd and drove the wheels off the now “not handling very well car”. After another late race caution that set up a green white checker we knew we were in trouble as the car was not handling well at all. Brae reported that he could have held on to 3rd if it went green all the way but didn’t know now where he would finish on the GWC. On the GWC Brae started in 3rd but the now poorly handling car slid up the track going into turn 1. Driver Brittney Zamora aggressively stuck the nose of her car in low and with a little nudging earned her first podium finish. We would have done the same thing in her situation and congratulate her on her 3rd place finish!!!. Besides losing a few spots due to the earlier incident we have heard from other race teams and many fans who say it was one of the most fun race they have watched in a long time. 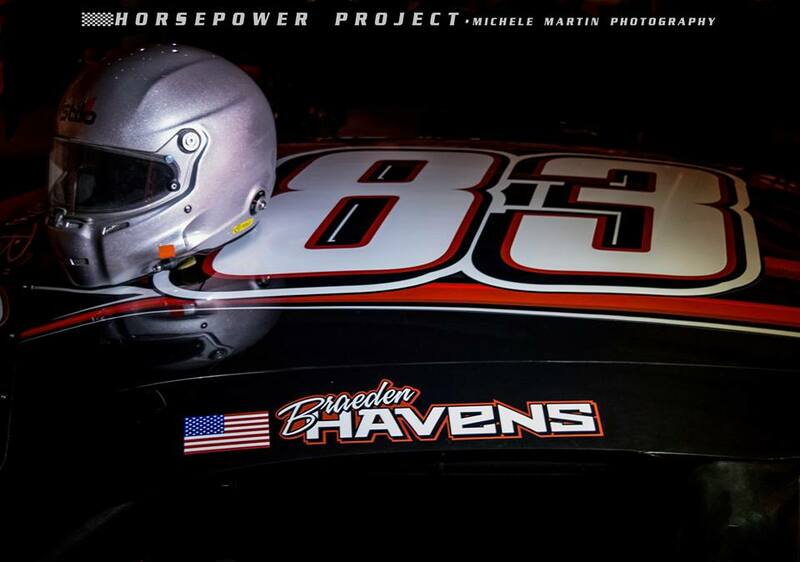 We enjoy being a part of this great racing community and will do our part to try to keep the stands full. Brae is finished for awhile with the NW Super Late Series as the start of the Stateline Triple Crown Series Idaho 150 is on June 3rd. Make sure to mark your calendar and come out and watch this sure to be an exciting race.